Call 0161 794 3316 or submit this contact form to arrange your electronic recycling. When it comes to taking care of your electronic waste recycling, nobody does it better than Virogreen. 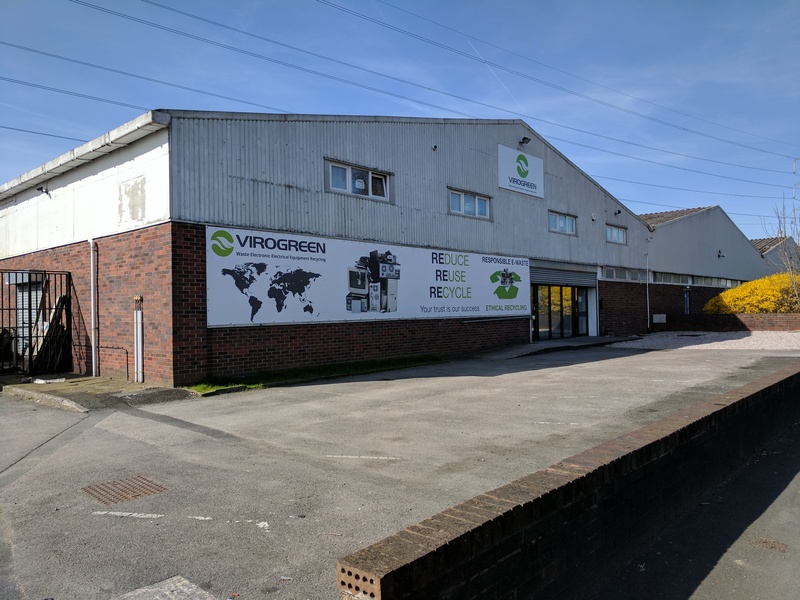 An established business in the field of electronics recycling in 10 countries worldwide, Virogreen offer a professional, effective and value for money service. If you’re just realising that your business needs an electronics recycling partner, or maybe you’re thinking of changing your provider, Virogreen will be happy to provide you with a free, no obligation quotation for our services. Simply send us an email or give us a call and we’ll come back to you with a quote for the work. If you’re in a hurry to get your recycling underway, talk to us today as we can often attend at short notice. Call us now on 0161 794 3316 and we’ll be happy to arrange a mutually convenient time to collect your waste over the phone today. We want to offer you flexible forms of communication and a way to keep in touch with us that suits your lifestyle. You can contact us by phone during business hours, or can email us at any time, 24 hours a day; our representatives will get back to you as soon as possible. Alternatively, please fill in the contact form here, and we’ll be happy to return a quote to you shortly. Hong Kong~ Virogreen Co. Ltd.